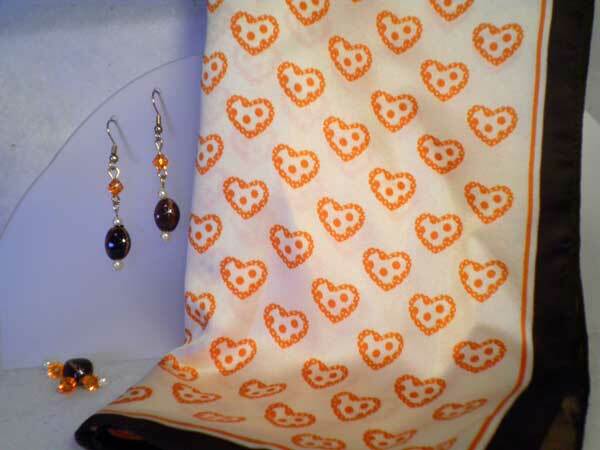 The scarf has an ivory background with a golden orange heart design and a dark brown solid border. I've paired it with earrings that hang 1.5 inches from the hook's loop and start with a beautiful golden orange bicone crystal followed by a chocolate colored ceramic oval surrounded by tiny ivory pearl rounds. I've used separate posts for more movement and sparkle.